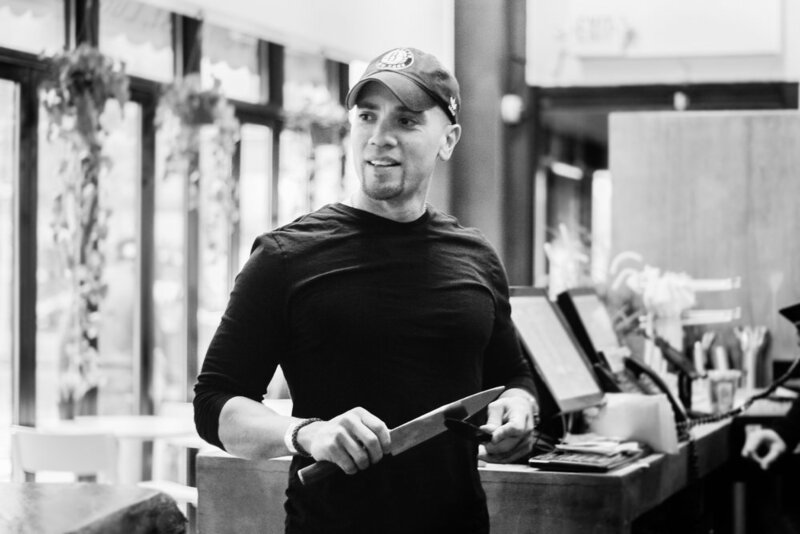 Chef + Founder Alex Peralta, set out to create a restaurant that served delicious healthy food with Caribbean sensibilities. Each dish on the menu is made from scratch and our beverage selection includes fresh juices and fruithies (our version of a smoothie.) We are committed to serving the freshest ingredients we can get our hands on and we source organic and local when possible. The menu is a medley of inspiration-Chef Alex wanted to create a menu that showcased the ingredients he grew up eating in the country side of the Dominican Republic and encouraged patrons to make the healthiest choices possible without sacrificing flavor. In the development of the menu, Alex also consulted nutritionists and health and lifestyle coaches. He fused their input with his expertise from being a health conscious individual for over 30 years. The result is menu that features healthy versions of dishes you could find in Uptown NYC that truly fuel your body and can power you through your days. Our hope is that through eating our meals you fall in love with eating well, and taking care of yourself.